We believe that incentives design and management is one of the most important duties of executive management and boards. Incentives motivate performance and behavior. When designed and managed proactively incentives can have a dramatic positive impact on business performance. We have extensive experience with incentives design, and our business ecosystems approach helps ensure that your incentives are connected to your business goals and that the other disciplines are also addressed. This helps to ensure higher success rates. 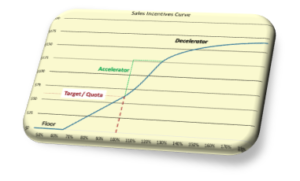 We are uniquely qualified to consult with you on your incentives design needs. Working with your internal departments helps to build capabilities, and the ones that benefit from this are commonly compensation, business analysis, pricing, and operations.